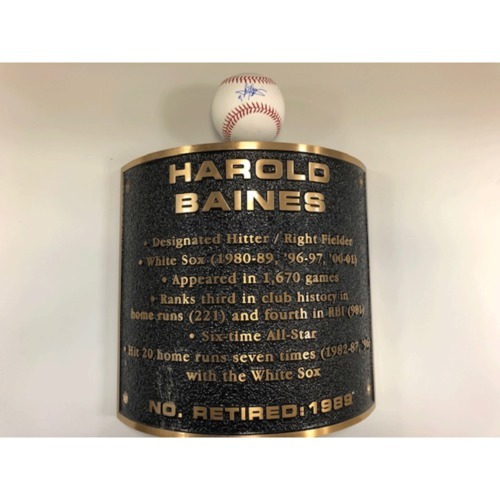 Bid on a baseball autographed by 2019 Hall of Fame inductee Harold Baines, and a plaque removed from the plaza at Guaranteed Rate Field in 2019. The plaque features career highlights of Harold Baines prior to Hall of Fame election. The baseball is authenticated by MLB.